The Roman Empire was one of the greatest the world has ever seen. However, since I'm not speaking Latin now goes to show that it didn't last forever. The many wars, as well as internal issues caused its collapse. Though many tried hard to keep it afloat, many others were speeding it along to destruction. 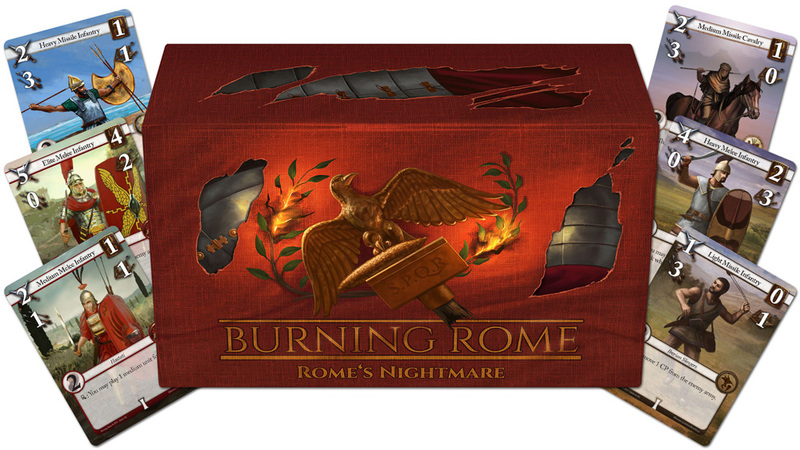 In Burning Rome, you get to pick sides on whether you're looking to save the Empire or destroy it. 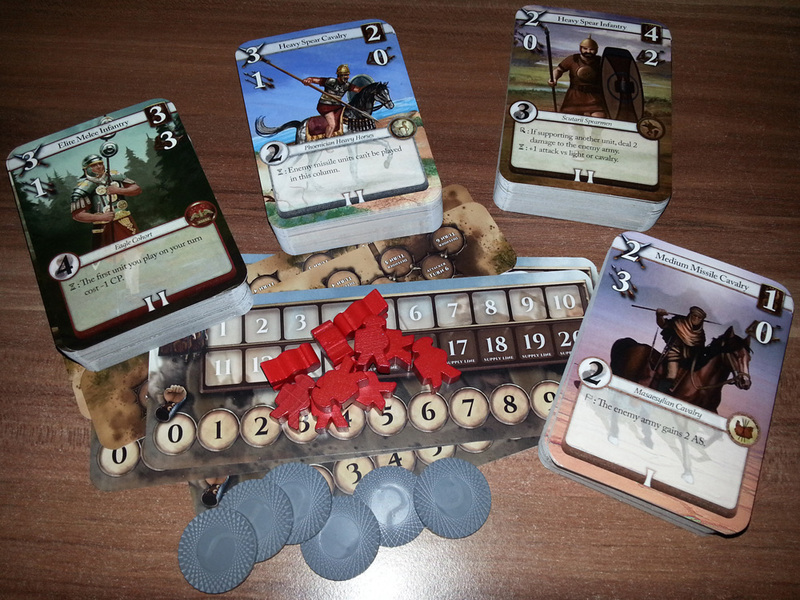 It's a tactical card game that will be launching on Kickstarter on the 18th. 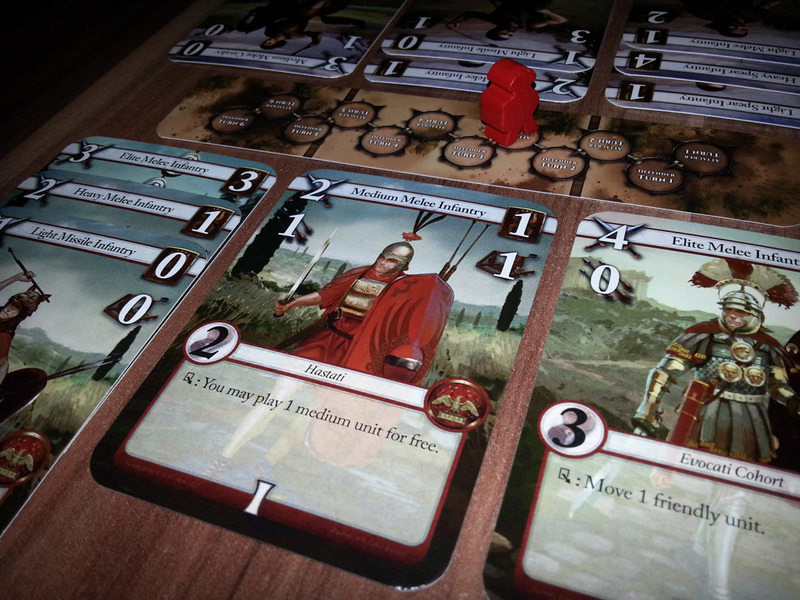 Burning Rome is a quick tactical card game about battles in the ancient era between Rome, Carthage and other factions of the time. 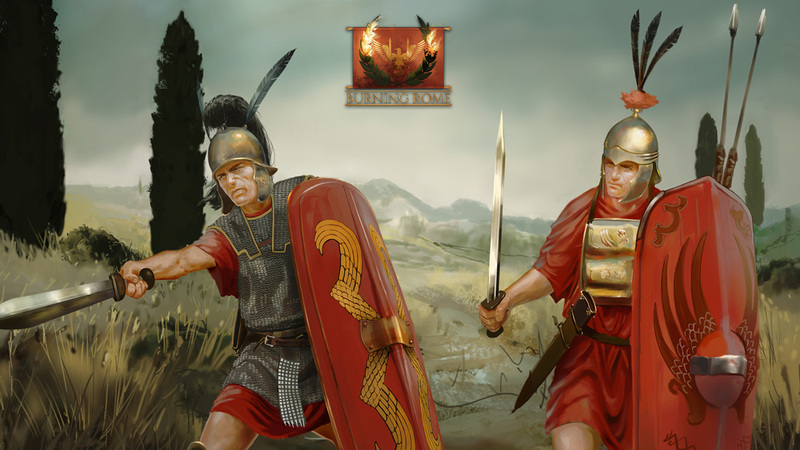 You deploy Legionary Cohorts, War Elephants, Skirmishers and other iconic warriors, supported by influential generals and famous tactics. 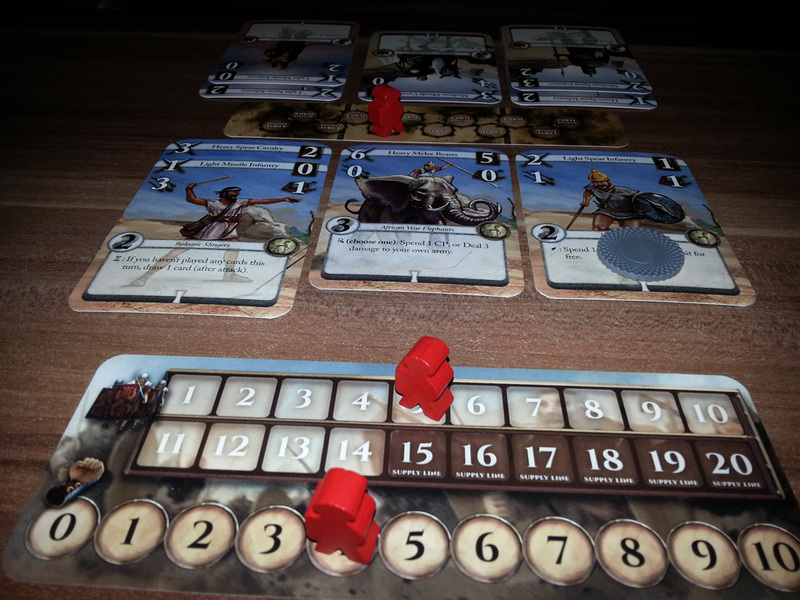 The game is primarily for 2 players and last between 15 and 30 minutes.